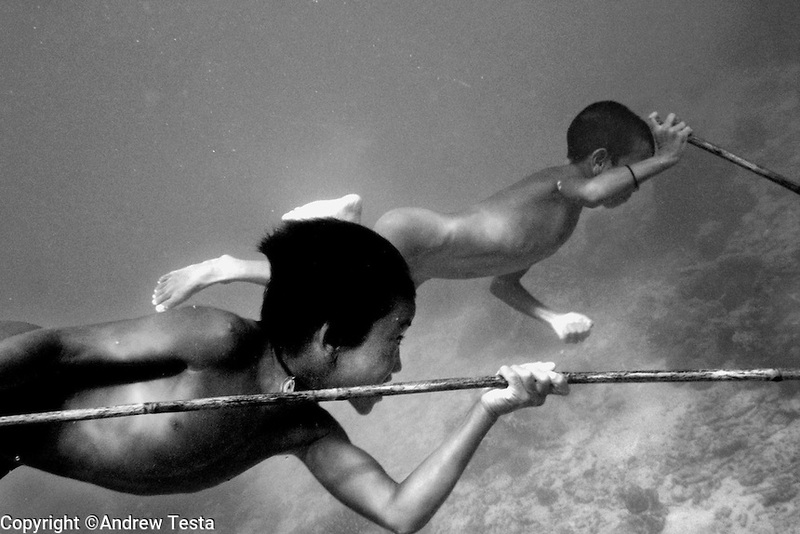 THE MOKEN..Moken boys fish with spears in the sea around the Surin Islands.The Moken are a nomadic tribe who live on these islands 60 km off the coast of Thailand. Recent scientific studies have shown that the underwater eyesight of Moken children is more than50% percent better than the underwater eyesight of other children. Scientists believe that the Moken train their eyes to see better out of necessity, they have to hunt for fish, and also make out things on the sea bed far below them. Experiments are now underway in Sweden to see if other children can train their eyes in a similar way.